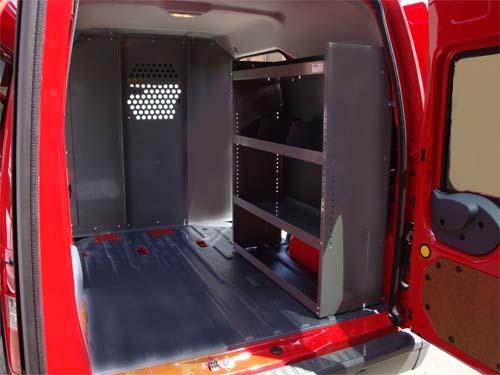 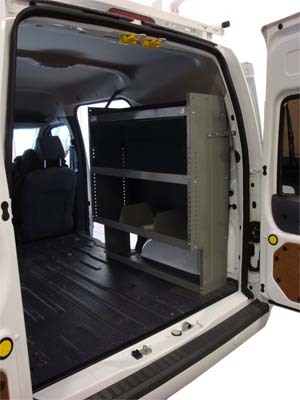 Ford Transit Connect Van Shelving Storage System. 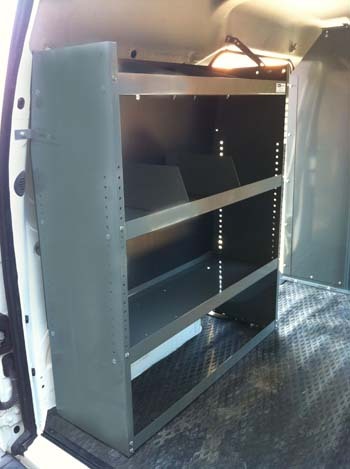 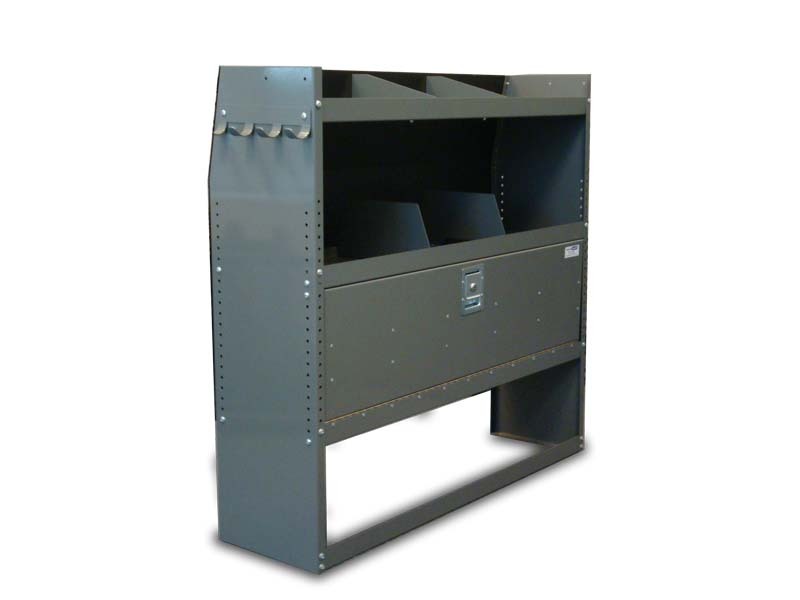 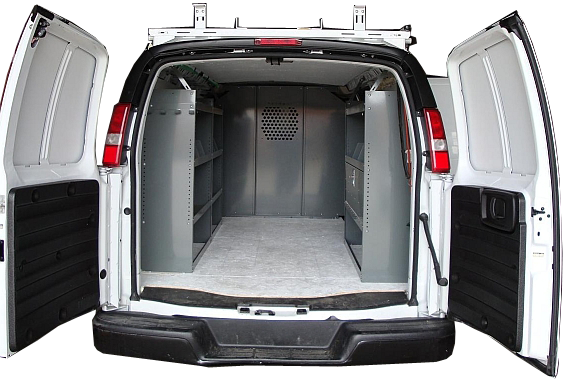 Fully Adjustable shelves, contoured to fit your van, plastic back panel to keep your stuff secure. 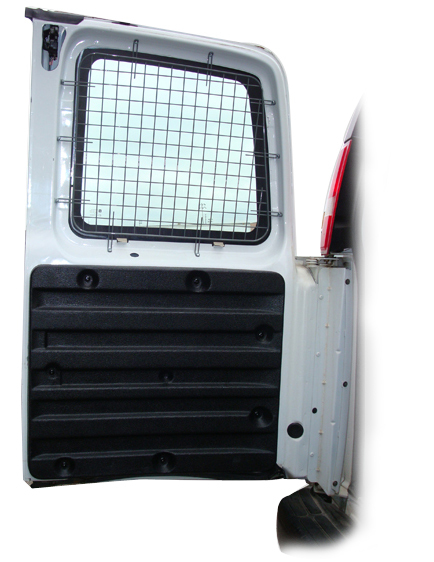 Driver-side modules - Curb-side module. 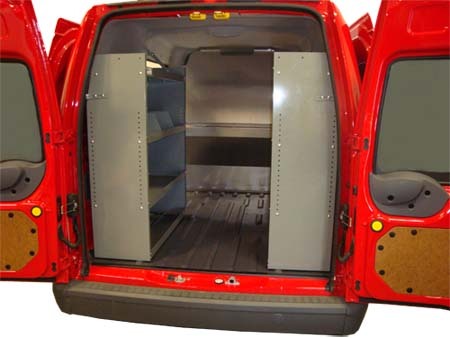 Drawers, Toolboxes, Hooks, Cab File Organizer.